INECTO Superblack delivers timeless elegance by restoring your hair’s beauty and youthful appearance, so you can focus on getting the most out of your busy life. 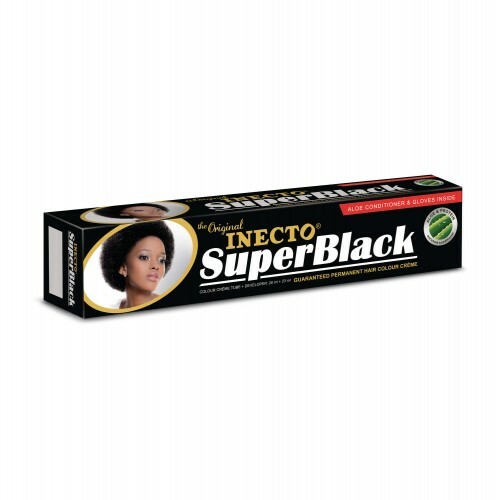 Having provided millions with quality black hair for generations, INECTO Superblack remains Africa’s number 1 tried and tested permanent hair colour. Whether you’re looking to cover those unwelcome greys, or are simply wanting a look that is simple and sophisticated, you can rely on INECTO Superblack to help you colour with confidence. INECTO knows what your hair needs from colour to care. 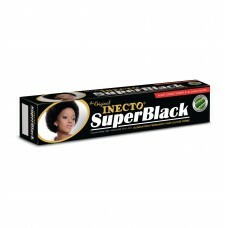 INECTO Superblack includes an After Colour Conditioner enriched with healing Aloe and Protein properties. This means that not only will INECTO Superblack give you a bold new colour, but it will leave your hair feeling softer and looking healthier, too!